NB: Linked in Friday's Forgotten Books, 7/8/15. When a series of novels – especially a series published over an extended period and featuring the same lead character throughout – evolves in the mind of the reader from being merely a diversion or, at the upper end of the scale of interest, a fascination, to becoming a full-blown obsession, the minutiae of the fictional world being depicted starts to assume more of an importance than it perhaps otherwise would (or should). 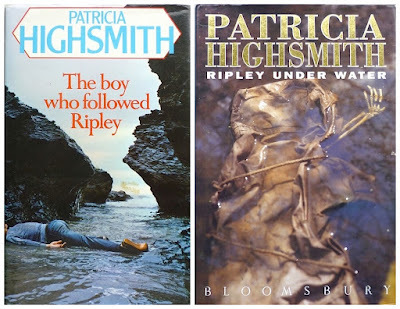 Take a particular passion of mine: the five Patricia Highsmith novels starring Tom Ripley – the Ripliad. Aspects of Tom's world to which I've devoted more thought than is entirely necessary (or healthy) include Tom's politics (leftish, for the most part), the social scene around his home in Villeperce-sur-Seine (agreeable, for the most part, although also snobbish) and the state of Tom's garden at Belle Ombre (a curious one that, when I struggle to summon much interest in my own garden beyond a desire to sit in it on occasion). But probably the facet of the Ripliad I've pondered most frequently is its chronology. In publishing terms, Highsmith's intermittent series spans thirty-six years, from 1955's The Talented Mr. Ripley to 1991's Ripley Under Water, and the world depicted in each novel reflects the era in which it was written, from the 1950s mise-en-scene of Tom's debut to the presence of CDs and microwave ovens in his swansong. But in the internal chronology of the series, little more than a decade elapses between The Talented Mr. Ripley and Ripley Under Water. We're told in the the novels that Tom is twenty-five years old at the time of Talented; that he's thirty-one in the second instalment in the Ripliad, 1970's Ripley Under Ground; and that the events of Ripley Under Water take place about five years on from Under Ground – which, if Talented is indeed set in 1955, would mean that Under Water is set in 1966. And yet the world outside Belle Ombre's windows marches on through the 1970s and into the early 1990s. Fellow Ripley enthusiast Craig D noted in the comments to my Tom Ripley Reread post on Ripley Under Ground that he "once read an interview with Highsmith in which she... jokingly [said] that she 'cheated' with the timeline", so I suppose one really shouldn't read too much into the mutable nature of the Ripliad chronology. But of course that doesn't prevent unhinged individuals like myself from dwelling on it – and nor does it stop other folk from offering their own interpretations of it. One such recent one, the most detailed I've come across – it proffers season as well as year for when each novel is set, plus locales – appears in the 2015 Virago hardback edition of The Talented Mr. Ripley (a copy of which was kindly sent to me by Virago's Editorial Director Donna Coonan, to whom I can only apologise for the ridiculously nitpicky nature of what follows), appended to John Sutherland's new introduction to the novel. On one level it's an entirely reasonable piece of work: each of the dates it gives is informed by the surroundings in each novel – which, as I've noted, reflect the period in which each novel was written – and certainly in the case of Ripley Under Ground and 1974's Ripley's Game, the chronology further reflects the info Highsmith imparts in the latter: that just six months elapse between those two books. Where the chronology starts to become problematic – at least for a lunatic like me – is in the concrete dates it gives for the four novels post-Talented (which the chronology maintains is "set in early 1955", which is fair enough). For Ripley Under Ground and Ripley's Game, the settings are given as, respectively, "summer 1968" and "late 1968 and early 1969", which tallies roughly with when the novels were written but would make Tom around thirty-eight, as opposed to the thirty-one he says he is. The fourth book in the Ripliad, 1980's The Boy Who Followed Ripley, I don't believe offers any indication of how long after Ripley's Game it's set (I could be wrong; it's two years since I last reread it), but the chronology states it's "set in summer and early autumn 1978", which would make Tom about forty-eight – markedly older than the novel seems to suggest he is. Lastly, the date for Ripley Under Water is stated as "summer and autumn 1988"; that would make Tom an unlikely fifty-eight and mean that thirty-three years have elapsed since the events of Talented. There's no easy answer to this: Highsmith evidently did cheat, so it's impossible to reconcile the setting and surroundings of each novel with Tom's age in each. But by affixing such (relatively) firm dates to each book, the new chronology practically invites the scrutiny of those of us for whom the Ripliad has become, let's say, an abiding preoccupation. Still, for the vast majority of the readership, who I imagine tend not to dwell on such things – which is to say they have a firmer grasp on reality and more of a sense of perspective than I seem to – the chronology will doubtless prove to be little more than a momentary diversion. And at least it's not as problematic as the year the otherwise learned Professor Sutherland calculates in his introduction for Tom's birth: 1934. Now how on earth did he arrive at that conclusion...? I've also compared the Ripley timeline to George Romero's Living Dead movies. For instance: Night of the Living Dead was made in 1968 and takes place in 1968, and Dawn of the Dead was made in 1978 and takes place in 1978, but it's clear that no more than a few weeks has passed between them. That new chronology baffles me, not only because the dates seem wrong, but also because it's unnecessary. This is what happens when scholars and editors focus too much on continuity and everything fitting together perfectly, and try too hard to fix the perceived "mistakes" of an author who didn't really care about such details. I see this all the time in the Sherlock Holmes world; obsessive fans trying to explain why John Watson's wife refers to him as James in one story, or why Holmes refers to Mrs. Hudson once as Mrs. Turner. A lot of fans get a kick out of that particular "game," as they call it, and it does interest me to an extent, but even my fanboy obsessiveness has limits. It just gets boring after a while. In The Boy... Frank, who is 16, mentions that he was 14 when he read the news of Murchison's disappearance, so the date should be August 1970, but the chronology of current events places the book in August 1978. In Game, Tom writes a letter to Reeves on Friday March 28, and this corresponds to the 1969 calendar. But in the next chapter another Friday, March 31 arrives, and that's the 1972 calendar when Highsmith was actually writing the book, I think. In Ripley Under Ground Tom visits London in October and spots a poster for Zeffirelli's Romeo and Juliet on the Tube. So that's October 1968 when the film was released. Heloïse has her birthday next month, so she is either a Scorpio or a Sagittarius. Being at the moment 25, she was born in November 1942, under the Occupation. Tom is 31 in the book, so he must have been born in late 1936 or in 1937. It is also mentioned that Tom was 25 during the events of the previous book, which places them in 1961-62. Thank you for the splendid comments, both. Polecat, I am in awe that you spotted those details, especially the poster for Romeo and Juliet. Amazing. Interesting to learn this is also a problem with the Ripleys. I've long been aware of a similar problem with the Parker novels. There's a 23 year gap between 1974's Butcher's Moon, and 1997's Comeback. From the perspective of Parker and a handful of other characters from the earlier books who also appear in the later ones, only a short time has passed. All of a sudden, there's the internet, there's cellphones, and in the final trilogy written towards the end of Westlake's life, there's post-9/11 security measures. The cars have changed as well. I think both of them liked there to be a certain sense of immediacy to their writing. Westlake hardly ever wrote stories which didn't take place around the same time he was writing them, and though I'm less familiar with Highsmith, I believe that's mainly the case with her as well? But also, they both want to see how these two strange protagonists will react to certain situations--to changes in the culture, in technology, in society. They need them to be in fairly fit condition to survive the dangerous situations they get themselves into, so they can't be too old. 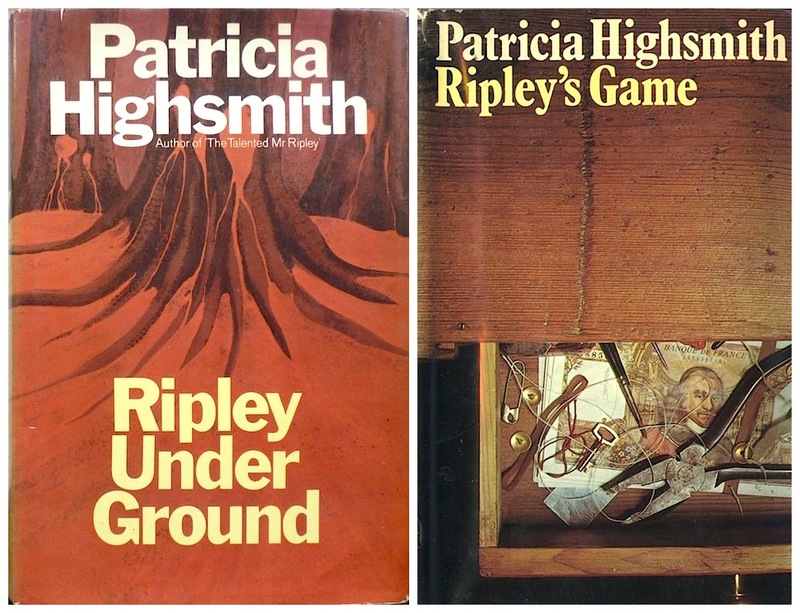 Highsmith in particular would want to go on seeing Ripley as a young man. He truly is an ageless character--it's a bit more complicated with Parker. I believe there are some minor problems with the Stark chronology, even if you allow for the great leap forward. There's been more scrutiny of the Ripleys, and of course there's only five of them. Maybe a better question to ask would be which long-running series of books about a particular character or group of characters does not have chronology issues? I know they're a huge problem for the Aubrey/Maturin nautical novels of Patrick O'Brian. He just needed more time than history afforded him, so he cheated. And I think they'd all say that their books were in the fiction section for a reason, and leave it at that. I've not read enough of the novels to say for certain, Chris, but I believe the characters in Anthony Price's David Audley spy series age at the same rate as the books were published (about 20 years, from 1970–1989). Ethan Iverson would be able to confirm that one. I was going to mention the Parkers at the start of the post (and the Bond continuation novels), but the intro was getting too longwinded (even more so than it currently is), so I dropped them. So thank you for bringing them up!